Two posts in less than one week.... crazy I know. It has been a fabulous week. I have enjoyed my break a little too much and to be quite honest I am not looking forward to going back to class but I will push on! I will keep my eye on the prize and am looking forward to summer and the last break I will have for the next three years. Makenzie and I along with her nurse and Mr. 12 had a great day on Tuesday. Makenzie has always loved the aquarium so that is where we headed for her special day. She giggled and squealed and spent a lot of time taking it all in. Her favorite exhibit was the sea otters. They were very playful and Makenzie got a kick out of their antics. It is so much fun to see Makenzie love something so much! There was a day when I didn't know if she would open her eyes let alone turn into such a happy little girl with such an amazing personality! When we got home I went to the dollar store to pick up a couple of Makenzie's other favorite things...... silly string and a balloon. We proceeded to have a silly string fight in the middle of the living room and Makenzie played with her balloon so intensely that she broke a sweat. She yelled at that balloon, She laughed as she swung it around. We finished the day with a trip to Red Robin for dinner with family and Makenzie got her own piece of cheese cake. It was an amazing amazing day! Makenzie has also been working super hard with her talker. Over the years we have tried many different ways for Makenzie to access her talker. She has been successful to a degree with several different access mode but a few weeks ago I pushed to try a method called step scanning. This method requires the use of two different switches. One of the switches is used to move the cursor and the other switch is used to pick the item. Makenzie's speech therapist and I spent a couple of sessions trying different switch sites and layouts for her talker language. While everything with Makenzie will always be evolving I think we have found something that Makenzie is excited about and completely understands. Makenzie is using a switch at her knee to move the cursor and a switch behind her elbow to pick her choices. We have limited the amount of exposure Makenzie has because the school is still refusing to talk to me or her private therapist about the step scanning or her vocabulary changes and I do not want Makenzie to get confused and refuse to use her talker at all. This makes me so frustrated because even with limited trials Makenzie is doing so very well. However, spring break is here for the kids and Makenzie and I are going to work our hinnies off with her talker over the next 5 days. I am done putting off working on this with Makenzie because the school staff can't seem to learn how to use Makenzie's technology or properly train the people who are with her all day. With that said I have made an executive decision. Makenzie is going to use step scanning period and will not go back to school until the school gets it through their heads that this is what is happening, load Makenzie's current user area onto her talker, and train the staff on how to use step scanning and her talker to say more than just yes and no. This is an iPad App from helpkidzlearn called Choice Maker 3. It is set up to work with one or two switches. This app allows you to program the pages on the computer and once you save the activity it can be opened in the app and downloaded for immediate use. This afternoon I made five 15 page activities in lest than 2 hours. It is so easy and Makenzie can play these educational activities completely independently! This week Makenzie also had her first conversation on Skype with her Granny and PawPaw all by herself. She talked with her talker for nearly 30 minutes. She told her Granny to "come here" which is great because anything Makenzie wants she gets (not really but shhhhhh don't tell her granny and pawpaw!) so they will have to start planning a road trip to come and see her! I fell asleep on the couch watching The Following. It is my spring break. It is not a sad day but instead the day I experienced the most tragic miracle of my life. It is the day I get to celebrate the miracle of life at the same time I reflect on a moment that would change the course of my little family's life forever. It is a very strange combination. As I sit on my couch typing, Makenzie's water has run out and I can hear a faint deeee dooo deee dooo coming from her feeding pump in the room where I should be in a deep slumber. Seven years ago I didn't even know what a feeding pump was let alone have one. Seven years ago I didn't look around my house and see wheelchairs, a stander, a talker, and braces. Seven years ago the term SPED was for kids I knew nothing about, and the doctor was for the flu and strep throat. Home health care? DME? IEP? IDEA? ADA? Yeah..... didn't know about those either. However, seven year ago this afternoon..... all of that would change. In less then 12 hours I would find myself next to my little girl barley hanging onto life in a helicopter over the city I have lived all of my life. I would settle into a little blue chair listening to the deeee doooo deee dooo of several machines that has become an all familiar song in my life. I would cry, I would scream, and for a short while I would sleep with the hope that when I awoke all of my pain could be chalked up to one really vivid nightmare. Seven years ago every member of my family experienced a tragic miracle that would alter the course of our lives forever. While life has not been easy over the last seven years I can honestly say I am happier than I have ever been. I am exhausted and overwhelmed too but non the less happy. Some days the guilt of how one moment in time has effected my boys is unbearable and others the knowledge of what this has taught them and who they have become despite it all is breathtaking. Some days Makenzie's progress seems agonizingly insufficient and others I can't believe how far she has come. It is a rollercoaster, I will not lie, but it is amazing to be able to look back in the face of so much heartache and see so much good in God's plan and provisions for this little family. So today Makenzie is not going to school and instead we are going to head to one of her favorite places..... the aquarium. We are going to look at fish, turtles, sharks, and eels. We are going to touch things and eat ice cream. I am going to tell her how proud I am of her and how much I love her over and over all day. I am going to try for one day to let go of the anger I have towards the school and their inability to see who Makenzie is despite her physical limitations. I will try but most likely this day will bring on snarky comments about how amazing my daughter is and how blind they all are. It will bring on thoughts and memories of just how hard I have fought for my little girl, how hard Makenzie has fought and just how pissed it makes me that they limit her and treat her as less. On this day, they will not get to be in Makenzie's presence because they are not worthy of celebrating her amazing recovery and what it has taken on so many different levels to get to this place. On this day I am so thankful for all of you. For the support and prayers you have so generously given to our family. I have met so many wonderful people on this journey. We are so blessed by each and every one of you! Today I will be thanking God over and over for placing you into our lives. Thank You! 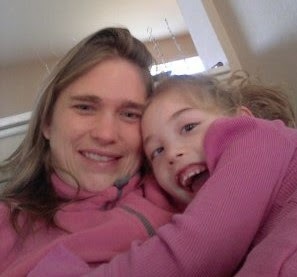 Today is a good day because seven years ago my daughter LIVED!!! NOW IT IS TIME TO CELEBRATE!!!! Wow long time no post. I think that I have started the last several posts in that same exact way but life has been insane and I think that may even be an understatement. I think about posting often. I come up with words to write here during the day and then I can not find the time to put them down. I miss coming to this place. I miss sharing my beautiful little girl with the world. I miss the community. Buuutttt....... enough of that already. Last time I posted, I think I left you with a bit of vacation and also of the begining of a nursing issue with the school. The word "school" pretty much sums up where I have been physically and emotionally since that day. I am just 2 short weeks from starting the application process to get into nursing school. I still have a 4.0 GPA and was accepted into the honor society. I still love every minute of it. I am currently taking chemistry and have decided that they could very reasonably rename this class " Math on Crack 101". With that being said, I love math and science so I am having so much fun learning about the composition of all things. It really is pretty dang amazing and yes I already know I am a nerd. However, my college adventure has been the least of my school worries. About a month before Makenzie started school this year I found out that her school no longer had a nurse. I tried very hard before her first day back to try and get some answers and come up any kind of solution. However, on her first day of 1st grade there was no nurse on the property so Makenzie and I started first grade together. I sat in the back of the class and tried to work on my own homework while leaving the education to the professionals. The problem...... there was no education happening. I had suspected that the school had not been giving Makenzie what she needed for a long time but suspecting it and seeing it with my own eyes was a different story. So the lack of a nurse went from being the only real issue to becoming one of many. It took many meetings with several district administrators, the school staff, an advocate, and legal representation from an attorney, over a period of two and a half months to finally work out the nursing issue. However, the education issues were a whole different story. Once the nursing issues were resolved the school decided to change Makenzie's IEP in a not so good way without my consent. We ended up changing schools and things did not get any better.... in fact I am pretty sure they got worse. I have cried tears of sadness and anger. I have screamed profanities and pounded my fist into pillows while no one was watching. There were many days that I seriously contemplated taking down Makenzie's therapy swing and replacing it with a punching bag. I can not understand why the school system refuses to see my little girl who is adding, subtracting, and recognizing sight words, as a child who is intelligent and able to learn. Makenize deserves more and as a matter of fact she has the right to have more. I am leaving out most of the gory details because on Monday the weight of the world was lifted from my shoulders in the form of an attorney. I having been fighting this uphill battle alone for far to long. Makenzie is falling further and further behind and the moment I signed that paper I almost cried. There will be no more midnight emails trying to stay professional through the frustration. There will be no more meetings were the "team" considers my suggestions and then does whatever they want regardless. There will be no more disrespect to my daughter's rights and dignity. I can come here in this moment because I can rest in the fact that I don't have to fight tonight because the fight is now in the hands of a professional who the district can not ignore. No more " you are just a mom and don't know what you are talking about" to worry about. I honestly do not think my heart has felt so light in a very long time. I once again have hope that Makenzie will finally be able to have what she needs and deserves. 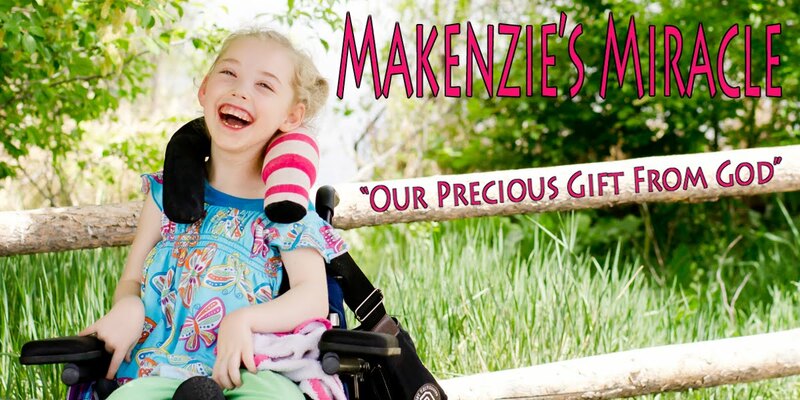 Outside of all of the above mess, Makenzie is doing wonderful! She never ceases to amaze me and God has not stopped providing miracles.The boys are working hard in school and Mr 16 (yes you read that right) got his permit and a job. Time is flying by and my kids are growing up way too fast! I hope to be back soon!!! Oh, picture taking and editing has kinda gone on the back burner as well..... sorry for the phone pictures but I figured something was better than nothing at all!